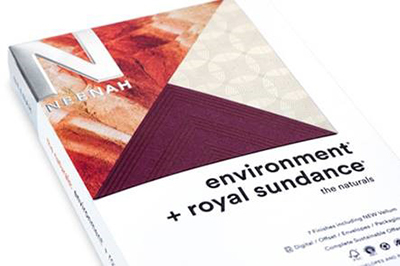 Neenah, Alpharetta, Georgia, has announced the refresh and re-release of ENVIRONMENT® and ROYAL SUNDANCE® Papers. These two established brands now will work side by side within one portfolio: The Naturals. ENVIRONMENT® Papers are naturally inspired and influenced by colors and textures in the real world, available in Smooth and earthy RAW® textures. ROYAL SUNDANCE® Papers are natural essentials with a full spectrum of beautiful, traditional colors and textures ranging from crisp linen to rich felt, pure smooth, flecked fiber, soft laid and new vellum. 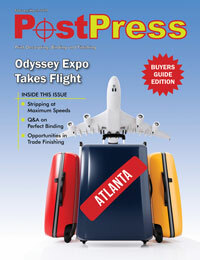 For more information, visit www.neenahpaper.com.